Against the backdrop of increased concern regarding the environmental impact of human activity, there are an ever-growing number of studies for the development of individual, collective or merchant road transportation with a view to creating cleaner vehicles. To win a positive response from the market, these vehicles must offer the same level of performance without representing an additional cost for the user. One major improvement strategy involves using high-speed electric motors that are smaller, but with the same amount of power, in order to increase the power-weight ratio of electric power trains, and thereby reduce the weight of vehicles and increase their energy efficiency. However, in order to achieve these gains, new gearboxes, that are able to accommodate the high-speed of the motor with conventional transmission vehicle components, will have to be built. The market is potentially broader than that of HEV (Hybrid Electric Vehicles) and ZEV (Zero Emission Vehicles): it will be possible to apply the technological solutions developed to all land vehicle sectors (trucks, buses, agricultural machinery, public works vehicles, etc.) as well as the aerospace sector which is presently seeking genuine cost reduction strategies in relation to current technologies. The primary focus of the project consists in determining whether or not it is possible to manufacture, at car cost, a high-speed, high efficiency gearbox (30,000 to 40,000 rpm, 20 to 40 kW power). The goal is to be able to exceed the performance of the current chain by incorporating the target weight gains while at the same time guaranteeing the reliability of the system under automobile conditions. 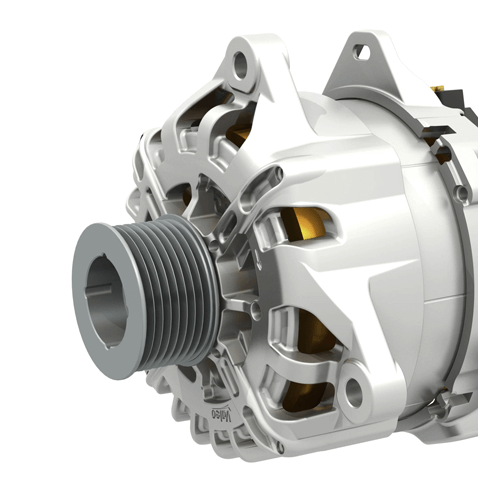 In order to achieve an overall gain on the vehicle, the target performance will be equal to or more than the performance of existing gearboxes. Accordingly, it will be necessary to identify and assess technologies that are compatible with the economic constraints of future mobility. Secondly, these technologies will have to be developed to make them industrially relevant on consumer markets thereby making it possible to open up the market of large-series high-speed gearboxs to all industrial partners of the project. Though the efforts to improve the energy efficiency of HEV and ZEV is nothing new, up until recently, studies were focused on electric machines operating at low speeds and high torque, control strategies or the improvement of the power electronics. The proposal to work on a means of using high-speed engines in vehicles had not been contemplated until now due to a lack of sufficient studies in the area. By accepting high input speeds, the gearbox of the REDHV+ project will allow the use of high-speed electric machines in motor vehicles. This goal means that the gearbox will have to be highly efficient: the study of the energy efficiency of high-speed transmission is therefore one of the strong points of the project. 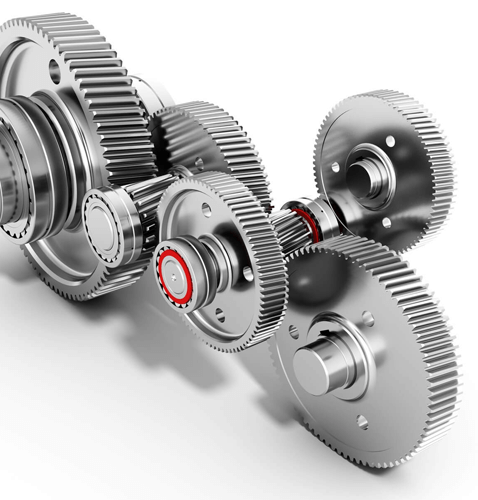 Given its use in a motor vehicle, the gearbox will also need to withstand a significant number of cycles, to tolerate both high torque starting and high speeds at a lower torque while guaranteeing maximum reliability. Finally, another aim of the project is to provide the motor vehicle with high speed without significant additional costs in comparison with the low speed solutions that have already been controlled. 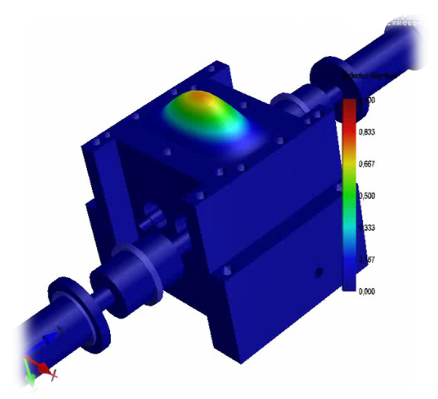 Work will be carried out on a single-stage gearbox (ratio of approximately 3, input speed of 40,000 rpm) to assess the performance of elementary technology so as to thoroughly assess the efficiency of this high-speed stage. 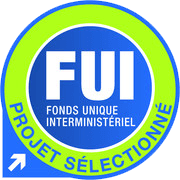 The project is primarily expected to benefit the French carbon-free vehicle sector, a developing market will be a major growth driver in the upcoming years (25% of the new vehicle market by 2020, most of which being hybrid vehicles). Significant benefits are also expected for all the project partners and the technologies developed will offer real potential for increased value in several industrial fields (aeronautics, rail, road haulage, passenger transportation, energy, industry, etc.). This project will also help to strengthen joint works between the industrial and academic partners who will provide their contribution on medium/long term aspects. Manufacturing methods to be implemented for a car series cost objective.